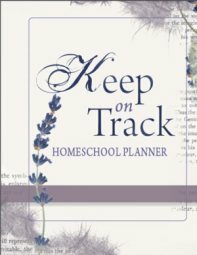 I am trying to finish our homeschooling year for my 6 yr old daughter and 8 yr old son. We have been using A Beka workbooks for Arithmetic, and Language and Science and Bob Jones for Spelling and History. I am behind schedule for this school year and just plain "burned-out". I don't know whether or not we should stop now for the summer and finish our grade levels next school year or try to homeschool thru the summer to be able to start our next grade level on time or frankly just give up. 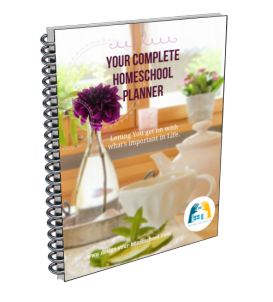 I've tried both approaches to homeschooling -regimented and less regimented. When I try to relax and be a little less regimented I feel so unorganized. I'm so worried that one or both of my children are going to miss something important. This is why we're behind. I'll be really regimented for a few weeks, then we get burnt out and grumpy so I'll loosen up our schoolwork, only to find my self even more frustrated b/c I feel like they're behind. Please someone tell me that I'm over thinking this. I guess I just honestly don't know what style of homeschooling works best for us. I need Help, Encouragement, SOMETHING, PLEASE!!! I looked at the first few years of curriculum studies. They have the same stuff every year-as I see it. You can't miss anything by homeschooling and not having your kids in public school. 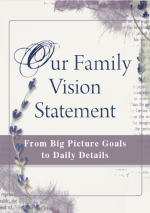 There are so many fun and easy ways to learn all we need to learn to be successful God's way. You can have your kids stay up late and actually see the big dipper in the sky-not only on T.V. or in a book. You can go on a road trip and your kids can read the map--during school months and days. The only way your children will not learn is if you totally neglect them. Let them free play all summer and watch them--they will be learning math, science, reading writing etc. and they won't even realize it is "school work"
Don't give up--I think it gets easier. Your children are still young. I suggest doing "school work" in the winter and on rainy days and PLAY during the warm, sunny days. 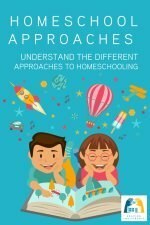 I am still learning after 4 years of homeschooling many different ways. My daughter "did math" when she had to count her money before going to the candy store with a friend. She is 9 years old. I am learning that natural learning really works. Board games, card games, fieldtrips, cooking, baking, playing with other homeschool friends-really is educational. I do not limit my daughter's computer time. webkinz and other educational sites are fun for the kids and they learn math, spelling etc without realizing it. With homeschooling, we are suppose to be free to teach our children the wasy God wants us to teach them, not the way the 'school system says we should. I have tried and quit many curriculums. Now we will do lapbooks, watch tv and videos (magic school bus-for one)play with friends and have FUN. I hope this helps. Many of us have been where you are now and have good suggestions. Take what suits you and your family. I have had to retrain my thinking--it is good to have fun. So, play with your awesome blessings and have fun!!! I have been in your shoes, and still feel myself every now and then putting them back on! Remind yourself daily, Why you are homeschooling, children are a gift from God and what better person from them to learn from than their loving parents at home? Don't get me wrong, I too have not so loving moments every day, and have to stop and pray and seek forgiveness, and remeber that I need to be an example to my children not a frustrated, overworking zealous mom. 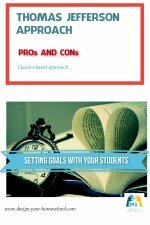 I do know that both the curriculums you are using, while very good, are very time consuming and have lots and lots of workbooks. Would you consider trying a less stressful approach in curriculuum choices or maybe dividing lessons in half? For example, I use saxon math for one of my children and it too is alot if you do it all in one day, but I had to learn this by trial and error. so what we do now is learn the new topic, do half the review and one side of the workbook page,then do the other half of review page and workbook page the next day. In other words, we split one lesson into 2 days. We are always on task, because the whole first half of the following book(the next grade level)is all review from the previous grade level book. Key to this is to not take too long of a break from math per say if your child has trouble remembering. This is why the 1st half of the next grade is all review, because a 3 month summer break is too long for any child to remember all the concepts learned and therefore will have to spend the the first few months of school reviewing. This isn't the case for all children but it so happens to be for one of mine. Find that balance, but don't give up! ANd don't get caught in the whirlwind of changing curriculuums too often because you think that might be the problem, sometimes it is, but sometimes you just have to re-structure it to your child. Another thing you might try is alternating science and history. One month do history and the next science. Sorry for writing a book, I just want to encourage you to keep up the race (with lots and lots of prayer! )and the prize at the end will be amazing!